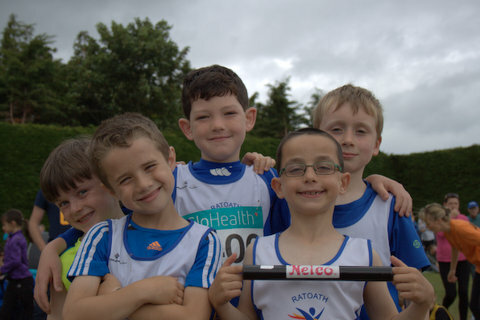 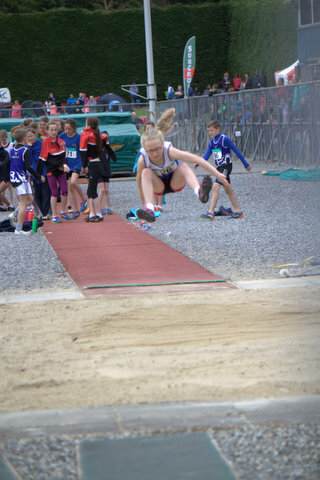 The All Ireland pairs took place last weekend in Tullamore, our younger athletes from u9-11 put in some terrific performances on both track and field. 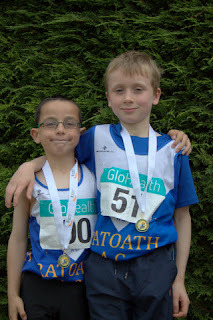 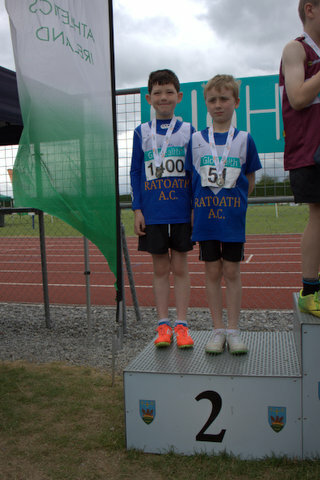 Our u9 boys who had a tough Leinster qualification came out with all guns blazing, James Kelly and Gavin Witter both jumping pb’s in the long jump to take home gold and a first ever National gold for the club at u9 level, James was also paired up with Fionn Heffernan in the 300m and both lads ran out of their skin to finish second and claim another National medal. Gavin Witter and Charlie O’ Connor were unlucky not to medal in the turbo javelin and all four plus Harry Bogan put in a great performance in the 4 x 100m relay to finish 5th. 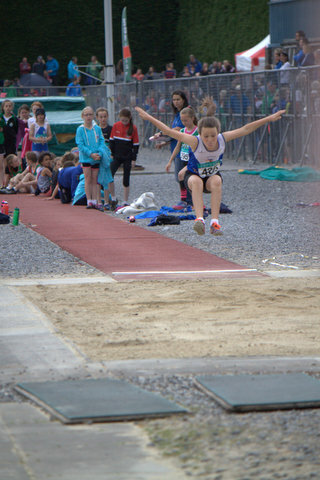 Our u10 girls team of Caoimhe Fitzsimons and Ciara Coroner both performed well in the u10 long jump and 500m but finished outside the medals. 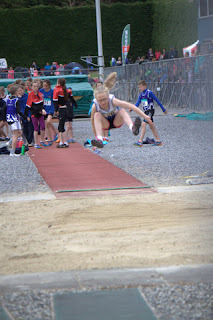 With Sophie Quinn missing through injury Niamh Murray and Laura Kelly paired up for the u11 long jump with Laura also pairing up with Aishling Strafford in the u11 600m, the girls all jumped and ran well and were not far off medals on the day, the girls were joined by Aobh Forde for the sprint relay and were unlucky not to make the final.